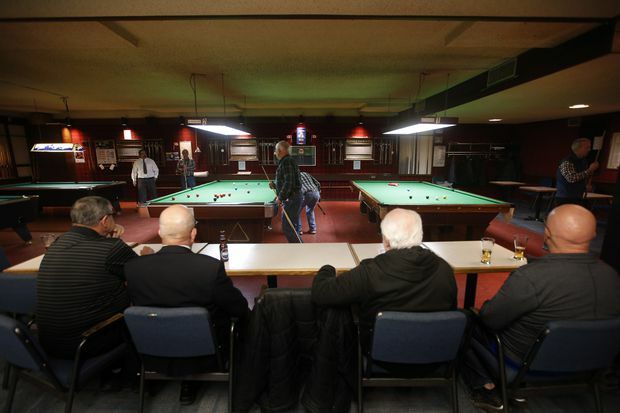 Veterans look on as other members play snooker at The Royal Canadian Legion, St. James Branch No. 4 in Winnipeg. The Legion provides free, essential walk-in services for veterans in Regina – and yet, the branch had to start a GoFundMe campaign last month to scrape together enough money to stay open. About half of the Legion’s 270,000 members are aged 65 or over – a statistic that’s taking a toll on everything from filling poppy campaign shifts to paying the monthly rent. “We are having a problem within the Royal Canadian Legion with our aging population,” Mr. Anderson said. 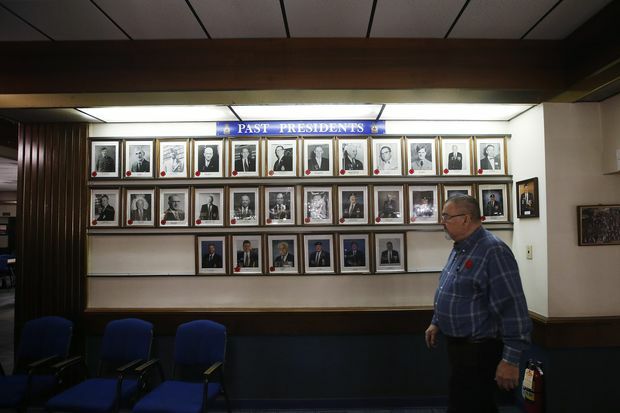 Ronn Anderson walks past a gallery of past presidents at St. James Branch No. 4. “The bottom line here is the modern-day veteran doesn’t like the older facilities, they want modern things, they want something to be able to walk into, for their families to do, to get involved in,” Mr. Irvine said. The nature of the Legion as a gathering place has also changed over the years, said Mr. Irvine. Now, Mr. Irvine says, it’s often one person from a town who joins the military alone and returns home with his or her colleagues spread out across the country. That’s why Mr. Irvine is trying promote installing Internet at local branches to make it easier for veterans to keep in touch with their friends. 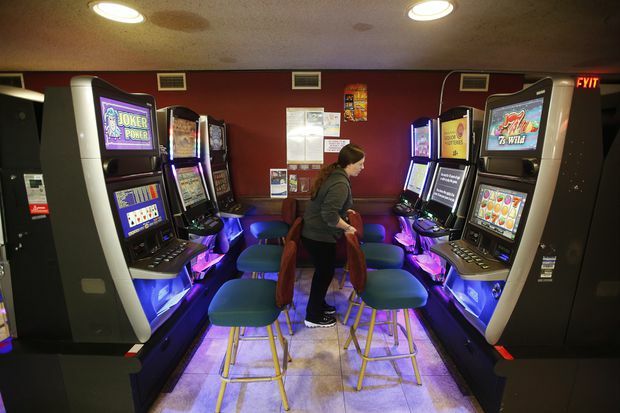 Other modernization initiatives include promoting online sign-ups and game rooms for kids. While membership is still 75 per cent veterans and their families, any Canadian is now able to become a member – but Mr. Irvine stressed that a veteran does not need to be a member to walk into a Legion for help at any time. And he’s optimistic that the efforts to modernize the Legion are working, even if change is slow. Mr. Irvine said so far in 2018, the number of membership losses is significantly lower than in previous years. “The word’s getting out there that we are changing. The numbers are turning,” Mr. Irvine said. VLTs have helped some legion branches survive despite dropping membership. But in the meantime, it’s hard to keep track of which branches are being hit the hardest by dwindling membership. Mr. Irvine said Dominion Command often hears the stories on the news, as they don’t report to Dominion Command. One such story came out of branch 56 in St. John’s, Nfld. this fall. A call for volunteers went out when 250 shifts to fill for the branch’s annual poppy campaign needed to be filled. At one point, Mr. McCarthy says he was one of the youngest members of his branch – while he was in his 60s. “Every year we struggle to find sufficient volunteers to man all our locations,” Mr. McCarthy said. Ms. Hoffman’s branch is working hard to stay open, like so many others across the country.